So, Emilie Griffin, author, teacher, spiritual director, writes in her seventy-fifth year. In these pages she reflects on the beauty and the difficulty of aging. Pain mingles with gratitude. With her, we learn again how to draw close to the Lord who longs to guide us through. Ideal for both individuals and discussion groups, each chapter ends with reflection questions and a prayer. 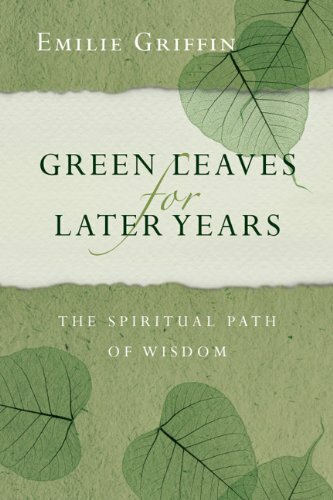 Discover a spirituality that will sustain you in the later years.